This lovely 18-inch sterling necklace reflects our founder’s message with the words representing Circle of HOPE: Healing, Optimism, Peace of Mind, and Enthusiasm for Life. 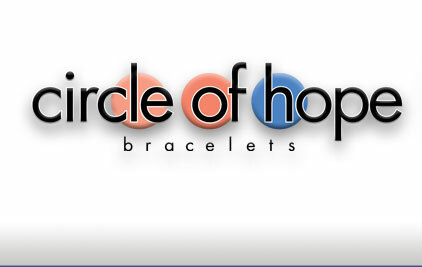 Four colors of Swarvoski crystals – chryolite, clear crystal AB, rose, and chili pepper – each stand for a letter in the word HOPE and are symbols to relax your mind, emotions and physical cells. 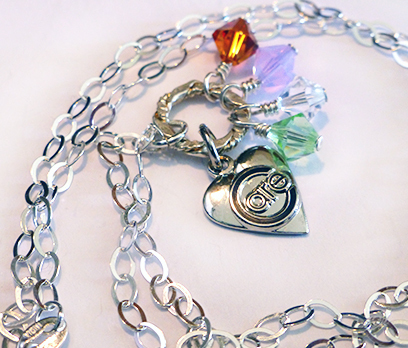 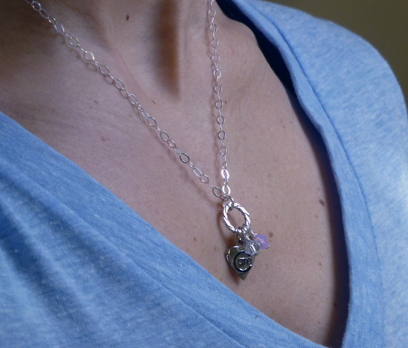 The crystal dangles are attached to a sterling circle with a heart-shaped Care charm.